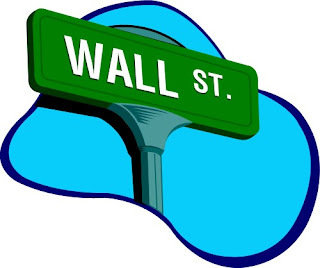 Lower trading volumes and less than stellar profits mean that Wall Street firms are looking to cut costs, so the adoption of third-party cloud-based applications and services is expected to accelerate this year. Scivantage runs a retail online-trading portal and professional trading and tax applications in a private cloud. Joe Stensland, SVP and managing director of Scivantage, told Wall Street Technology that, “We deliver the application with a private cloud and allocate the resources needed for each client deployment so they don’t have to bring in resources and infrastructure, While the interest in cloud services is moving up the list of priorities at large firms that have become cost-conscious, according to Stensland, “Midrange firms have become even more interested in the cloud’s pay-for-what-you-eat philosophy.” The cloud helps firms’ ability to cope with capacity planning. Financial firms have to be prepared for sudden bursts, but don’t want to incur the costs unless they need it. But they have “burst-ready” capacity—which is more critical than before due to increasing market volatility. Concerns about privacy and security mean that some firms refuse to let client data leave the facility. But some firms are migrating to private clouds managed outside their data centers. The phenomenal growth of Cloud Computing has been driven by a number of factors. But in order for the Cloud industry to build on its initial momentum, a broader cross-section of IT and business decision-makers must become adept at taking full advantage of the rapidly expanding array of virtual resources available in the Cloud. The whirlwind of activity surrounding Cloud alternatives over the past few years has not only spawned countless start-ups seeking fortune in the Cloud marketplace, but also attracted a myriad of established players attempting to repurpose, or ‘Cloud-wash’, their existing products and services to exploit the escalating demand for Cloud solutions. Silicon Valley is creating jobs and wealth for highly skilled workers but may be leaving some residents behind as employment closes in on Pre-Great Recession levels, according to a report released Tuesday. The 2012 Silicon Valley Index found job growth in the high-tech hub far outpaced America as a whole last year. The region added 42,000 jobs, a jump of nearly 4 percent, compared with a nationwide increase of little more than 1 percent. How much cloud is too much? That's the question a handful of companies are attempting to answer for enterprise users of cloud computing services. It's no secret that cloud vendors are taking advantage of their solutions' virtual nature to sell customers more capacity than their applications may require. In some cases, cloud vendors have bypassed IT and worked with less tech-savvy business customers in order to get away with this. Sometimes the fault for over provisioned clouds rests squarely with users who've chosen their own way around IT. "Today’s cloud services can easily be acquired by corporate end-users and strategic business units in an unauthorized and ad-hoc fashion ('the consumerization of IT') and can quickly become very costly unless properly managed," states Jeff Kaplan of consultancy THINKstrategies in an email today. Today’s SMB operates in a highly competitive and increasingly technology driven market. Operational efficiency is naturally a high priority for small and medium businesses to stay ahead and emerging technologies like cloud and virtualization have a crucial role in determining the same. Cloud computing in particular, offers many advantages in terms of flexibility, agility and on-demand resources that can give organizations a real competitive edge. Cloud as a cost effective technology also fits in comfortably within the strained IT budgets of the SMBs.